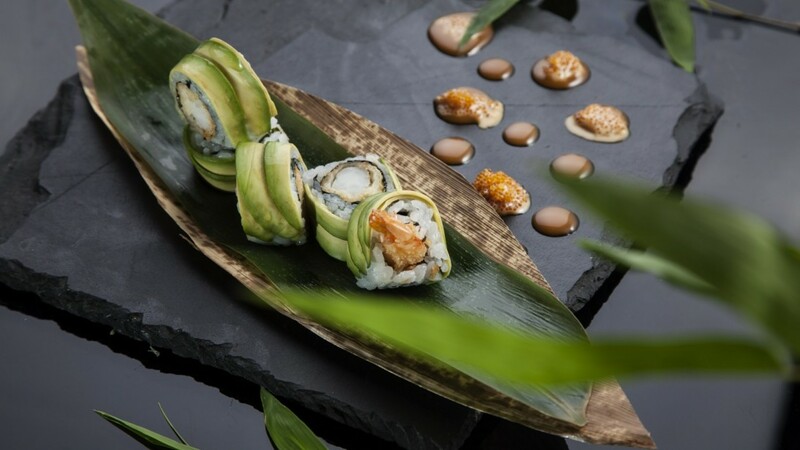 YTSB – Yellow Tail Sushi Bar serves cutting-edge Japanese cuisine and is the stylish destination in Bangkok for fresh sushi served in mouthwatering portions and authentic Japanese specialties. Honouring the traditions of Japanese culinary art, YTSB upholds the most exacting sushi standards with the freshest fish, complemented by a wide selections of top sakes, including some rarely found brands. The restaurant’s extraordinarily skillful Master Sushi Chef serves the finest cuts of his high quality and well-sourced ingredients in a delightful a la carte menu and with his creative visions unleashed in our nightly YTSB Exclusive Omakase sessions, seating only ten persons every evening and offering a range of courses with the most delectable cuisine in the city. “Chet” Chettha Intarawong has been passionately involved with Japanese cuisine for over 20 years, having fallen head over heels for Creative Art with his delicious dishes. 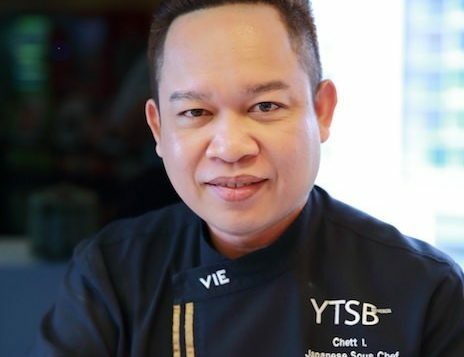 Having served as chef at such well known Japanese restaurants as Nippon Tei, Nanohana and Tuna Ichiban, Chef Chet has spent a long time honing his intensive attention to detail, a talent for innovation and a love of the arts which he brings to his dishes. Chef Chet is aware of how shapes and colors perform an aesthetic role in the enjoyment of food and he believes that the most important aspect of his cuisine is unlimited creativity. Always looking for new ways to stimulate a fun experience with his food, he loves the excitement when his customers encounter one of his new creations and enjoy it. One of his signature dishes is called Rossini, which uses top grade melt-in-th-mouth Kaisakaya Wagyu Beef Sirloin, Teriyaki Foie Gras, and White Truffle Miso Sauce Maki. The rich teriyaki sauce is made by the chef himself and blends exquisitely with the foie gras. All of his ingredients are ultra fresh and personally chosen — part of what makes YTSB the Best Sushi in Town.